Welcome to Learn Welsh north west. We provide a variety of learning opportunities across Gwynedd, Anglesey and Conwy on behalf of the National Centre for Learning Welsh. MORE INFORMATION BELOW! Would you like to learn Welsh? Would you like to improve your Welsh language skills? Do you know someone who would like to learn? Learn Welsh North West provides a variety of learning experiences across Gwynedd, Môn and Conwy. From daytime courses to evening courses, from weekly courses to courses through Skype - there is plenty of choice, whatever your level! 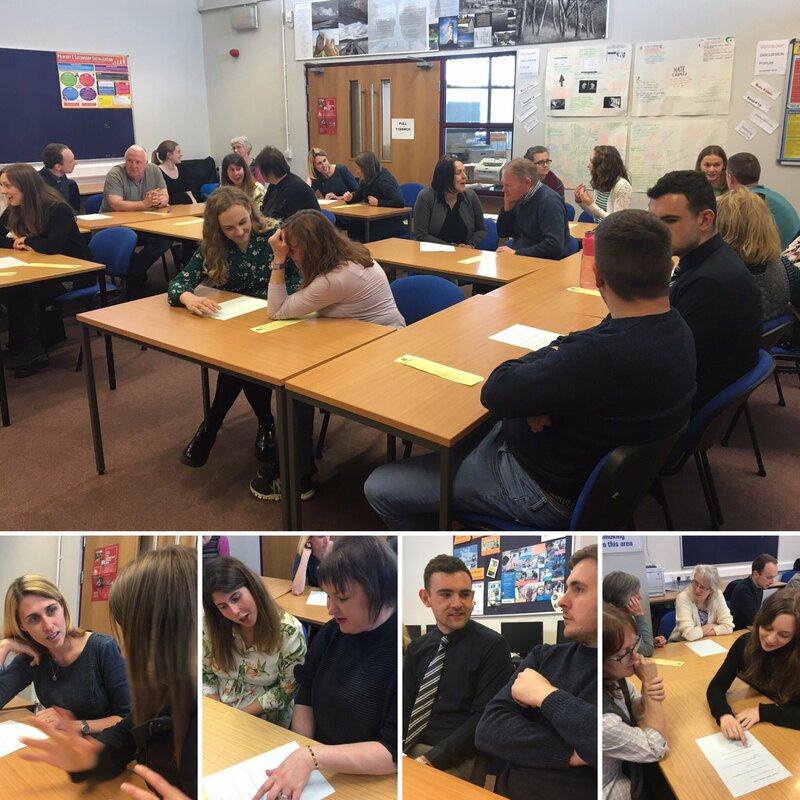 There are many opportunities available across the area to practice Welsh with other learners and Welsh Speakers - in day schools, block courses, coffee and chat sessions, book clubs and much more. The registration for the Summer Courses in Dolgellau will be open soon! Rwan, mae dysgwyr lefel Pellach ac Uwch yn cael sesiwn sgwrsio yn #CwrsPasgAbergele2019 "http://pbs.twimg.com/media/D4WxDpjXkAANzVf.jpg"